Nathalie Parienté is glad to present a new exhibition which sets a dialogue between two artists, one from Northern Europe (Jockum Nordström, with his pop-up installation « By and To Jockum », 2011) the other from the South (Juan Ugalde, with pieces done with collage and paint on canvas and produced between 1997 and 2003), both exploring the technique of collage and questioning their links to urbanism, surrealism and poetry. “Jockum Nordström is one of the most renowned Swedish artists of his generation. Among his many sources of inspiration, the artist mentions in particular music -which he plays- and poetry. Architecture is another one, in a minute study of the urban environment of the city of Stockholm, particularly the suburb where he grew up. His style is also based on Swedish popular and scholarly culture, as well as American Folk Art, Art Brut or surrealist-style collages. 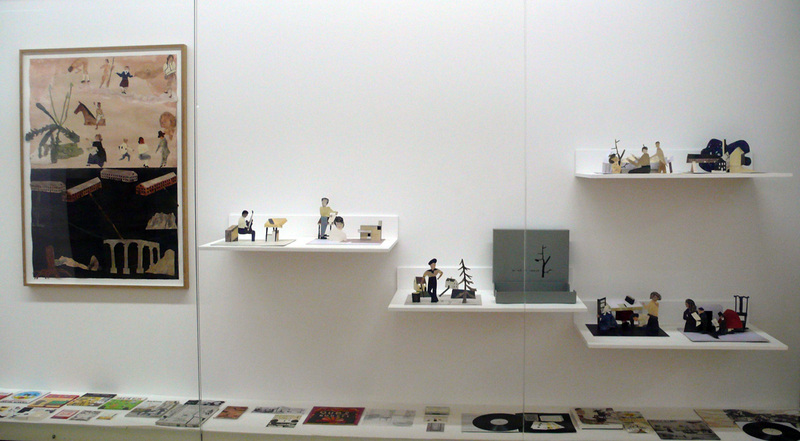 View of the installation “By and To Jockum” in the Contemporary Collections, Centre Pompidou, Paris, 4th Level. Photo ©: Centre Pompidou, Mnam-Cci/ Georges Meguerditchian. Juan Ugalde (Bilbao, 1958) works on photographs that he enhances with painting and collage on canvas. They are a reflection on contemporary Spain, the deep Spain, the one of locals on their Sunday dresses, bikers on a countryside road, of racegoers and suburbs. This appropriation of elements from the everyday life is poetically transgressed, often tinted with humour and irony. In doing so, he mistreats the notions of Realism and Surrealism, both of which are pictorial traditions deeply rooted in Spain. Juan Ugalde / Jockum Nordström. 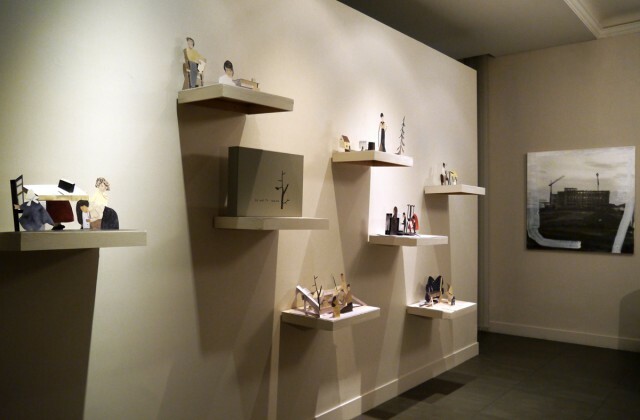 Installation views, detail views of the artworks on show.